We're big chicken eaters at my house. It's very healthy and I buy in bulk at the ever-so-awesome Costco so it's pretty budget friendly. I love doing interesting things with chicken to make yummy meals and the other night was no exception. My husband was working and since he hates anything having to do with apricots, I took advantage of the opportunity to make an apricot glaze for some chicken. It was very easy to make the glaze and the chicken so this dish is definitely going into rotation. I've seen a lot of recipes out there that are very similar to mine, but I take on a unique approach because I don't use preserves or marmalade - I use apricot butter. It's creamier, healthier and isn't as sweet as it's jelly-like counterparts. Instead of using super salty soy sauce like a lot of the others, I use all natural apple juice to add a mellow compliment to the apricot flavor. The rest of the ingredients, ketchup and apple cider vinegar, are used to add a tangy kick. As for the base of all the chicken flavor, I used a very unique herb. 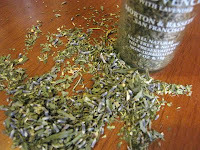 My parents bought me some Herbs of Provence a while ago during one of their visits to Saugatuck, Michigan. (By the way, that's where I got the apricot butter. Downtown Saugatuck has little shops that range from clothing to interesting and eclectic art galleries to hard-to-find kitchen utensils and spices. I love seeing everything these shops have and I usually come back with a few new kitchen toys to play with.) Okay, back to the herb at hand... These Herbs of Provence aren't your usual variety. 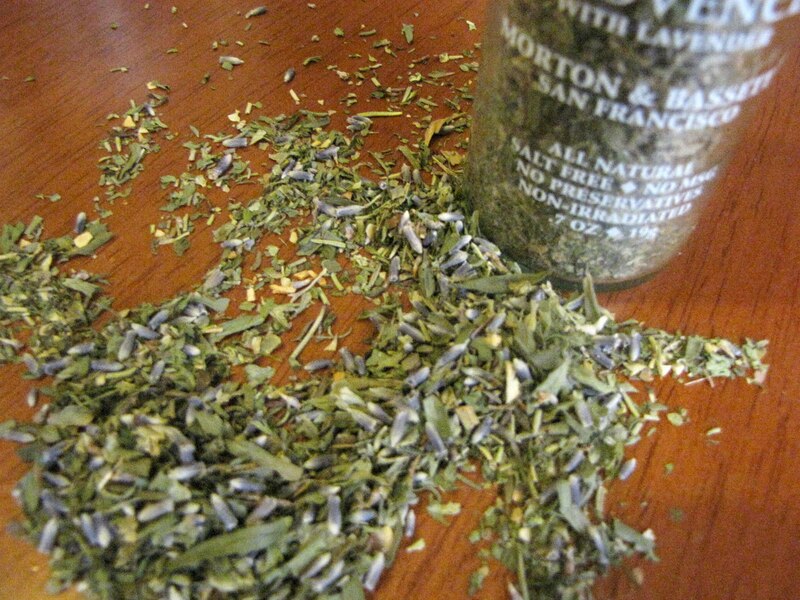 This particular batch has lavendar mixed in to enhance it with a sweet, fragrant touch that is just so unique and adds a whole new twist to the dish you're making. I sprinkled some of it on the chicken and it really transformed the entire meal into such an interesting flavor. I can't wait to use the herbs in more meals to see the range of flavors it offers. 1. Preheat broiler to high setting. 2. Mix apricot butter and next four ingredients together. Set aside. 3. Season chicken with salt and pepper. 4. Spray foil-lined baking sheet with non-stick spray and place chicken on top. 5. Sprinkle Herbs of Provence over all three chicken breasts. 6. Broil for 5 minutes about 6 inches from heat source. 7. Flip chicken and broil for another 5 minutes. 8. 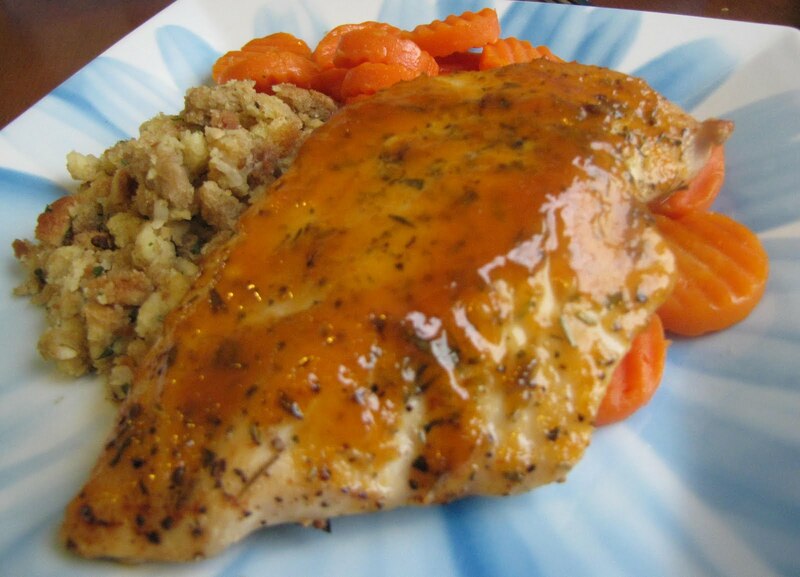 Spread apricot glaze evenly over chicken breasts and return to oven. 9. Turn broiler to low setting and broil for about 5 more minutes or until chicken is cooked through and glaze is thick and bubbly.